Our quality of work and affordable prices are unbeatable, making our lawn care company stand out from the rest. 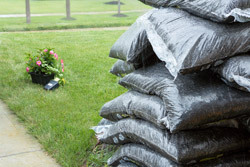 At J & L Lawn Service LLC in Louisiana, we have skilled landscapers who are experienced in a variety of services to keep your lawn looking healthy and green. 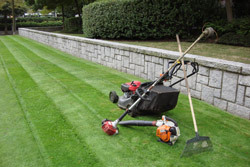 We have professional-grade, advanced mowers to keep your lawn neat and trim. Large or small, we specialize in grass cutting at homes and businesses in the greater New Orleans area. This is a popular option in warmer months to get the yard up and running for outdoor activities. 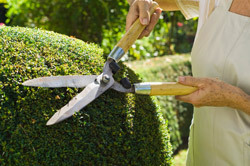 Much like our grass cutting services, we specialize in hedge cutting to ensure your hedges are even and smooth. We are available for one-time services or regular contract work. This allows both informal and formal hedges to make a great first impression for your lawn. J & L Lawn Service LLC offers shrub removal options to make room for more green space. We can get rid of unsightly, dying, or inconveniently-sized shrubs with our professional tools to get your lawn looking clear and uncluttered. 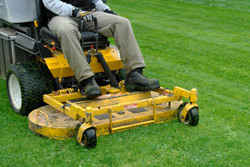 The lawn maintenance options at J & L Lawn Service LLC range from a one-time session to continuous contract work. We have full lawn service capabilities to make sure your lawn looks its best. Not only will it look great, but it will be efficiently trimmed to keep the greenery and lawn materials healthy and growing in the right direction.